Back about a month ago, I ran a guest post by Hopeful But Frustrated Teacher (HBF), who was doing a virtual book tour for her novel, No Teachers Left Behind. HBF was kind enough to later send me a copy of her book, which I jumped on as soon as the school year ended. For anyone who may be interested in giving this book a look, here is my review of No Teachers Left Behind. I have a feeling that non-teachers who read No Teachers Left Behind will come away shaking their heads, saying things like, "That's just too extreme -- there's no way school is like that!" For teachers though, even the most extreme situations in the book are recognized as possible and plausible. At Vilyon Middle School, Principal Angela Marsh is nothing but rainbows and butterflies -- as long as it's to a best-selling author or a high-dollar donating parent. To her staff, she doesn't stop at stepping on toes; she brings her high heel down on the jugulars. In an early staff-wide email, she says that for the rest of the day, lunches will be held in the classrooms, despite the inconvenience to teachers. Oh, and by the way, she will be off campus having lunch at the Olive Garden. The book is full of emails like that, with Marsh walking all over teachers' rights but then announcing that she is exempt. While reading them, I thought that's just so extreme, and yet it's not implausible at all! In one of my favorite examples, and energetic young activist teacher has sent out an email asking for support at a Saturday Obama rally. Principal Marsh replies with a message stating two facts: one, politics most definitely have no business at school, and two, emails of a personal nature will be cause for referral and loss of laptop. Turn the page and we find another email from Marsh, informing the entire staff that her daughter's Adventure Troop is selling popcorn which can be ordered in the main office. She ends her email with "PS -- God bless John McCain and the Republican Party." In between the absurd emails from the principal, there are emails from teachers commenting on the working conditions, short poems that are wonderful, and bursts of narration that set the stage for the endgame. This book will not have you rolling on the floor in stitches, but it is funny in a different way. I read almost the entire story with a bemused smile, shaking my head, thinking, "That is just spot on." At the very end of the book, the story turns tragic. This is no spoiler, as it states this fact right on the back cover. By the time the tragedy unfolds, the author has done a great job of making you feel for and genuinely LIKE the handful of characters that may or may not be involved in the final act. Kudos to Hopeful But Frustrated Teacher for a job well done. Here's hoping that her own principal in real life is not QUITE the monster that Angela Marsh is. I didn't watch much of ABC's new show "The Superstars" last night, but I am so very glad that I did watch the end. After throwing so many QBs under the bus, Terrell Owens finally got a bit of the T.O. treatment himself. From, of all people, a petite (and hot) supermodel named Joanna Krupa. I read a story in the Dallas Morning News today about a family that is getting private school reimbursement from a public school, thanks to a recent decision by the Supreme Court. The story talks about a kid in Oregon who is referred to as T.A. This boy was tested for learning disabilities, but did not qualify for special ed. Later, it was determined that T.A. had ADHD. "By then, T.A. 's parents had already placed him in a $5,200-a-month private residential school, a step many parents take when they think the public schools fail to provide proper diagnosis of their children's needs or the right programs for them." Um, what? Over $5K PER MONTH??? I went to private school and it was barely that much for the entire year. Even taking inflation into account (I'm not THAT old), this still seems ridiculously exorbitant! Secondly, many parents place their kids in outrageously expensive private schools when public schools fail them?? I'm not sure I buy that! Thirdly, the story rubbed me the wrong way because -- the kid has ADHD!! At least in MY district, that's not considered a learning disability and cannot be used for placement in special ed programs! If all of our ADHD kids were in special ed, we would all be full time special ed teachers!! This story just seems really scary to me. What do you think? Karen Schweitzer has guest posted here on Learn Me Good before. In fact, her prior post -- 15 Places to Find Teacher Inspiration and Humor Online -- has remained a very popular post on this blog. So You Want to Teach - So You Want to Teach is an education blog geared toward new and prospective teachers. The blog offers tips, resources, advice, and other helpful information. 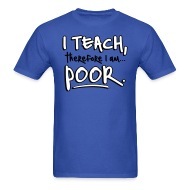 I Want to Teach Forever - Mr. D's blog contains a wealth of resources for teachers. There are random posts as well as series of regular posts, such as 52 Teachers/52 Lessons and Five for Friday. 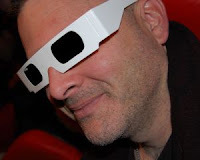 Cool Cat Teacher - Written by edu blogger and teacher, Vicki Davis, this teacher blog offers teaching content, classroom resources, and education news. The blog also includes occasional posts for parents and tips on using new technology. Larry Ferlazzo's Websites of the Day - This frequently updated blog is written for ELL, ESL, and EFL teachers, but could be considered useful be almost any educator. Mr. Ferlazzo's posts link to new websites and resources each day. Dynamite Lesson Plan - Author and public school teacher Damien Riley hosts this blog on teacher education and classroom management. Tales from a Teacher's Heart - Tales from a Teacher’s Heart is a series of videos that share heartwarming stories about teachers and their students. The blog offers more of the same along with quotes of the week and an excellent "ask the author" column. 321 Learn - This blog was created for teachers and parents who want to find news ways to make learning fun. The blog features free resources along with useful tips and advice. Successful Teaching - This popular blog offers teaching tips and strategies for educators. 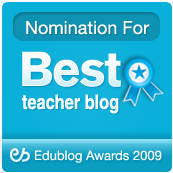 Posts link to many free teacher resources and often include a round-up of stories on other teacher blogs. The Teacher Toolbox - Adrian Bruce's teacher blog is a great place to find stressbusters, jokes, classroom activities, and other fun resources. Teacher Lingo - Teacher Lingo is a community of blogging teachers. There are many good blogs to read; you can also find like-minded teachers through the site's search feature. iLearn Technology - This education blog is dedicated to technology in the classroom. Each post includes details about a technology resource, information on how it can be integrated in the classroom, and tips to make the resource more useable. Free Technology for Teachers - Richard Byrne's education technology blog reviews free tech resources for teachers. Mr. Byrne also offers suggestion on how different resources can be used in the classroom. Teaching All Students - This excellent blog from Patrick Black is geared toward teachers who want to learn how to use assistive technology in a special education classroom. Creating Lifelong Learners - This blog from Mathew Needleman helps students and teachers close the digital divide by providing tips for elementary teachers who are teaching new and traditional literacy. The blog also includes information on how videos, podcasts, and other technology can be implemented in the classroom. On Blogging and Social Media - This new web 2.0 blog from Nik Peachy is designed to help educators get started in the world of blogging and social media. The blog includes useful articles and step-by-step instructions. This Week in Education - Alexander Russo's blog is a great place to stay up to date on education news and policy information. Each week he provides summaries and commentary on the biggest news stories. Edwize - This education blog offers general education news and opinion. 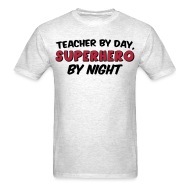 The blog also includes teacher diaries and real stories from NYC public school teachers. Education Portal Blog - The Education Portal Blog offers a hodge-podge of education posts and resources for educators, students, and other people who enjoy learning. The blog is updated with a new (and useful) article at least once each month. Elementary Education Blog This education blog is aimed at K-6 teachers. Topics include teaching strategies, curriculum design, behavior management, parent communication, and professional growth. Mission to Learn - The Mission to Learn blog is geared toward lifelong learners. The site includes a lot of free resources and news as well as insights into what it means to be a lifelong learner. Chronicle of Higher Education - The Chronicle of Higher Education offers up-to-date higher education news from around the web. Education Nation - This education site provides news and information about the state of higher education in the U.S. and around the world. International Higher Education Blog - David Comp's higher education consulting blog offers public diplomacy information, resources, and international education news. Self Made Scholar - This blog from former English Teacher Jamie Littlefield provides a wide range of free courses and resources for teachers and lifelong learners. Campus Grotto - This higher education blog is geared toward college students but it contains a wide range of articles, lists, and information that would be useful to almost any educator. Guest post from Karen Schweitzer, the About.com Guide to Business School. Karen also writes about accredited online colleges for OnlineColleges.net. I often don't get a chance to get out to the theater during the school year, what with the hectic pace of the academic year. However, once the year ends and I have some time on my hands (not to mention someone to go see things with), I am all about seeing some flicks! 1 Dry Erase Marker = Horrible, terrible, absolutely no good. Think Gigli meets Battlefield Earth. Stay away no matter what. 2 Dry Erase Markers = Just really, really not very good. I mean, if you're given the choice of watching this movie and sampling dog food, I guess you should watch this movie, but it's iffy. 3 Dry Erase Markers = The movie's not that good but at least the actors tried and the director is really a nice person so he should get some credit for that at least. 4 Dry Erase Markers = This movie was OK. Not great, not super fantastic, but ok. At the very least, there was no spontaneous breaking into song during a sporting event. 5 Dry Erase Markers = GOOD movie! Definitely recommended, and probably not just because there were hot women involved in the filming. 6 Dry Erase Markers = One of the best movies in the history of cinema. Right up there with Hoosiers and Hot Shots! OK, so on to the movies! Wolverine -- I give it 4 Dry Erase Markers. I would give it 5, but then I realize that not everyone enjoys the superhero genre as much as I do. Lots of cool characters, lots of cool fighting, lots of cool Adamantium bonding to skeletons. Don't watch this one and then go back and watch X-Men 1 and expect to see an evolution in Sabretooth. Star Trek -- Definitely 6 Dry Erase Markers. I think this is the best movie I've seen in recent years (or at least since Iron Man). The action was great, and the young versions of the iconic characters were spot-on. Especially Dr. McCoy. Syler makes a great Spock, and the old Spock was great too! By the way, if you haven't seen it yet, be sure to check out Trek Yourself, courtesy of Cheez-Its. The Taking of Pelham 123 -- Saw this one at a Studio Movie Grill courtesy of a free movie pass. I really like Denzel and I like Travolta ok, but I was disappointed by this movie. It was all right, but there are a TON of F-bombs, and some parts are exceptionally cheesy. I did go back and watch the original, 1974, version, and I actually liked that one more. The new version, I give 4 Dry Erase Markers. The original, 5 Dry Erase Markers. The Land of the Lost -- I am a big Will Ferrell fan, but when he is off, he is off. Semi-Pro was EXCEPTIONALLY bad (2 Dry Erase Markers). Thankfully, he is not off in Land of the Lost. It is not his greatest work, but far from bad. There are plenty of laugh out loud parts, and Ferrell is funny in his goofy, clueless yet pretentious way. I give him and his Sleestaks 4 Dry Erase Markers. Terminator Salvation -- I had read several bad reviews of this film, so I went in with low expectations. I came out thinking this was a really awesome movie. The action sequences are spectacular, the acting was really good, and the story (especially the titular bit about salvation) is very well done. And not to spoil anything, but, well, let's just say someone makes a cameo appearance and "IS BACK!" 5 Dry Erase Markers for this one. The Hangover -- I will stop short of giving this one 6 Dry Erase Markers ONLY because I'm not yet willing to put these newfangled raunchy low-star comedies up there with the greatest of all times. But let's say 6 Dry Erase Markers with one of the caps missing. This movie can be summed up in two words -- FRAKKIN' HILARIOUS! If you enjoy movies like The 40 Year Old Virgin and Old School, you will love this one. Up -- The newest Pixar movie lives up to its pedigree. It is simply a fantastic movie. Touching at points, funny at points, realistic-looking always. Can I just say that Pixar rocks? Both of the Toy Story movies are among my favorite of all time, and I really like The Incredibles, Finding Nemo, and Cars as well. The animated short at the beginning of the movie is REALLY cute as well. This one gets 6 Dry Erase Markers fo sho. And there you have it, an up-to-date movie review for the month of June. If you enjoyed this, there may be more to come over the summer. This week's Carnival of Education is being hosted by Pat (AKA Looneyhiker) over at Successful Teaching. Be sure to lace up your hiking boots and bring a canteen, because she's taking us for a hike throughout the best blog posts of the week. I certainly hope that by NOW, everyone is on summer break. Here in Texas, this is our second week off from school. If there are indeed any poor shlubs out there who are still in session, well first of all, I feel very sorry for you, and second of all, I don't feel as bad when I realize that you probably started way later than us or had an obscenely long Christmas Break. Regardless, I've put together a little list of things that have worked for me in the past and/or things that I am trying now in the present. These are things that all teachers should do over the summer to be prepared for the new school year which SEEMS so very very far away, but which we all know will sneak up on us like a new reality-star scandal. 1) Sleep for 24 hours straight at least once (just don't do this in late August). 2) Sharpen as many pencils as you can. I did this last summer, and now I think I'm set for the next decade. 3) Try to avoid getting sun burnt. 4) Read as much as you can for pleasure. We all know that's nearly impossible during the school year proper. 6) Follow the news and happenings of the World Wrestling Entertainment industry so that you'll be able to converse with the kids in the fall. 7) Find a trivia night at a local restaraunt or bar. Try to win. 8) Wait impatiently for the final season of Lost. 9) Make some funny YouTube videos. Or at least your own personal version of funny. 10) Rent a backhoe and clean out your guest room, office, or bedroom -- whichever part of the house/apartment that needs it most. 11) Take a field trip. Or two or three. 12) Read some fun blogs. On the last day of school, I cringed as I saw many kids doing the usual end-of-school activity of signing their shirts. I didn't used to mind this so much when there was no dress code, and most of the kids wore cheap white T-shirts (or at least, if another color, still cheap). But now with the dress code of collared shirts, I just don't want to be the one that approves using magic marker on something that the parents might not want decorated. Some of these kids were wearing REALLY nice shirts too, with signatures all over them. A couple of kids even asked me if they could sign MY shirt! And my shirt was patterned, with multi-colored stripes! What are they thinking?? So as an alternative, when the kids came to my room, I gave them each a big sheet of colored construction paper. We folded them up multiple times, unfolded them, and then drew lines on the creases, creating a nice autograph page with many squares to sign. I even made my own for each class so that I could capture the kids' signatures and thoughts. Most of them signed their name and wrote something like, "Best teacher ever." I think that once the first kid wrote that, the others felt obligated. One of my sneaky devils -- really a sweet kid, but always doing something exasperating -- wrote, "Thank you for teaching me everything you know." Um, I DO have a few more tricks in the tank, sonny, but thanks for the sentiment. On one of the kids' pages, I wrote, "You are a math superstar!" For the rest of the day, I heard this boy going around telling his classmates, "I'm famous!" or "I'm a superstar!" We've been out of school for a week now. I do miss my kids, but I don't miss having to get up early every morning! Hope everyone's having a great summer so far!! These are two of my Mr. Teacher columns from education.com. The first ran on January 8, 2008 and can be found here, and the second ran on May 27, 2008 and can be found here. However, that column seemed to be pretty popular with you, the lovely, sophisticated readers of education.com, and so a sequel was greenlit. Call it Mr. Teacher’s Showbiz Pitches 2: Electric Boogaloo. Here are a few new conceptual ideas for movies and television programming, all education-related, of course. The Last Fraction Hero – Arnold Schwarzenegger returns to the big screen, playing Denominator, a killer cyborg with a penchant for leaving his targets with only half of their vital organs intact. He's already eliminated 15 out of 16 of the ultra-secret Fraction Commission members. Can Shawn Jonner the Third save humanity, or will Denominator break the world into pieces? Tattlestar Galactica – Mr. Adama is the teacher in charge of this rag-tag group of first graders in space. As cries of, "He's skipping!" "She called me stupid!" and, "They're playing in the bathroom!" erupt all around him, Mr. Adama stays cool as a viper and resists the urge to shoot any of his students out of an airlock. Indiana Jones and the Almighty Amazon Altar of Alliteration – With good ol’ Indy getting older and older, he's spending less time out on adventures and more time back in the classroom! This time, he regales his class with the tale of outwitting and outspeaking a wild, wicked witch doctor in a terrific, tongue-tied throwdown! Snakes... why did it have to be sinister, sneaky, scaly snakes? Perimeters of the Caribbean – Captain Jack Spiral knows that X marks the spot, but he's convinced that a more special treasure lies on the edges of his sea. With his unruly crew aboard the cursed Black Square, Captain Jack traverses the length and width of the open waters. Yo ho ho and a boundary sum! OK, I'll just wait here by my phone to be called this time. Since most shows are airing their season finales, we'll need something new for the long summer months! In the meantime, I'll continue working on my new game show -- Are You More Exhausted Than a Third Grade Teacher? This week's Carnival of Education is up and running at Scheiss Weekly. There are some fantastic posts there, including one in particular by Sarah Robbins of Parenting the Gifted. After the kids have learned the concept, you can find fun and exciting ways to become experts on it. Take your two digit addition example. When I taught second grade, we did some fun activities to reinforce this concept. You can write stories to explain the process (the ones family lived in an apartment until they got too big, so they all had to move to the tens house). I LOVE this idea! I have my own cutesy little explanations for ways to remember regrouping and other math concepts, but having the kids write their own helps stretch their imagination, their writing ability, AND their overall understanding of the concept. Maybe they can't remember (or don't like) MY way of explaining it, but if they can think of and then use their own method, it is SURE to stick! This is one (hopefully of many) idea that I will be using next year in class. What happened to summer school?? I have never really had any desire to teach summer school. By the time the last day of school rolls around, I am VERY ready for a chance to relax and recharge the batteries. I especially don't like my school system's hours (8-3) or the fact that there is NO break during the day. No specials, and you eat lunch with the kids. So no thank you. But that is not what this post is about. Rather, it's about the kids who are going to summer school. The first couple of years I taught, we would make recommendations for summer school kids at the end of the year. This list would include kids who did not pass the TAKS tests (reading AND math), but it would also include kids who had really struggled and/or just barely passed those tests. However, for the past couple of years, all that has changed. Now the only kids who we can send to summer school are kids who failed the reading TAKS. Now keep in mind that I am only speaking about 3rd grade here; I'm not sure how it is with middle school or high school. But there were several kids this year who either failed the math test but passed reading, OR hit the pass mark exactly on the nose, OR would just plain benefit from some extra schooling in general! And they aren't going to summer school! Sure, we are told that these kids could maybe go, if we can provide extensive documentation on why they should be admitted into summer school. And maybe the reason I don't write said extensive documentation on these kids is that I'm lazy, OR maybe the reason is that I was handed the permission slips for summer school and told that they needed to be signed by the parents and returned THE NEXT DAY. Recently, Tom Anselm, who runs the Tom Anselm's Boomer Times blog, agreed to a book exchange with me. He read Learn Me Good -- and posted a lovely review -- and he sent me HIS novel which is called You're Never Too Old for Space Camp. I just finished reading it today, and so my long overdue review is finally complete. Space Camp is a very entertaining read. Anselm does a great job of bringing the characters at Cedar Grove Middle School to life, perhaps because they are based on real people he knows or perhaps because he has a great skill for writing people. The main character, Joe Akers, is a Special Education teacher in charge of a handful of academically challenged youngsters, including a potential NFL linebacker and a lad who rides his horse to school. Other teachers include a PT Barnum-esque principal, an uptight assistant principal who has a penchant for hiding in the bushes to spy, and a couple of love-struck educators for whom romance blossoms over the course of the story. Anselm does a wonderful job of weaving yarns and telling stories, all while following the course of a typical school year. There is a bomb threat, and true to reality, the caller is never identified. There is a standing weekly meeting at "The Library," code for the teacher Happy Hour where teachers unwind and vent. There are a couple of kids who get expelled for going a little too far in the touchy-feely department. There are unexpected and saddening medical trials and tribulations. This is what real life looks like for a teacher. The title of the book plays into the story wonderfully at the end, in one of the most touching parts, and by that time you'll feel like these characters have become a part of your life. Check this book out. You'll thank me for it. School's out for summer, is hot water in my future? Wednesday was our last day of school (controlled chaos, of course), and yesterday was our teacher close-up-shop day. Today is officially the first day without classes! Naturally, I have spent most of the day in bed with a nasty cough! WOOHOO!! Well, I've always been of a mind that I would rather be sick on a NON-school day than a school day, so I'm pretty much ok with it, and I have lots of time to recuperate now. About 3 weeks ago, my hot water heater burst. Just sprung a leak like a bad fishing boat and shot water all over my garage. Hard to take a cold shower at 6 in the morning on a school day! So I called up my home warranty people and got them to send out a plumber. I couldn't take the day off, so my dad house sat for me on the Friday before Memorial Day. That day, in addition to the plumber, an HVAC guy was coming to fix my air conditioning. THAT, thankfully, was fixed that day. The plumber took a look at my water heater and said it would need to be replaced and brought up to code, and that he needed new parts. He made an appointment to come back the following Monday and take care of it. I was wondering if he knew that day was Memorial Day, but he insisted that he worked his own hours and he could do it. When he hadn't shown up by 3 on Monday, I called and found out that he couldn't get the parts because his office was closed. SINCE IT WAS A HOLIDAY!! But at least he was going to be able to come over the next day AFTER school, so I wouldn't have to ask my dad to house sit again. He came over with a new water heater, took a while to get it replaced, added a drip pan, an outside line, etc -- all those expensive pieces to bring it up to code. Then he brought me out to the garage to show me that it was installed and done. Flipped the power on, and it promptly fizzled. If you're a Star Wars fan, you know that scene where Luke and his uncle have just bargained with the Jawas to buy C-3PO and that red R2 droid? The red droid starts rolling and immediately blows a circuit and starts smoking? Well, that's pretty much what happened with my heater. There was a giant pop and the smell of burnt wiring. So another day of no hot water. But the guy was going to come back the next day with a replacement. When he came back though, he didn't have a new heater, just a new heating element for the part that had blown up. He replaced it, we walked around the house, and every faucet was giving forth miraculous heated water. SUCCESS!! Well, not so fast. The next morning, I turned on the shower, and it was warm. About 5 minutes into my shower, it started getting cooler, cooler, colder. I was out of hot water. I called the guy that night, and he told me that I needed to open up the control panel and press the reset button. Odd, but I did, and I had hot water the next morning. A full shower's worth! SUCCESS!! Well, not so fast. No more hot water when I came home that night. Called the guy the next day, but with it being Saturday, didn't really expect to hear back. I discovered that if I hit the reset button each night, then I WOULD have hot water the next morning. However, I really didn't think that playing Desmond Hume and pushing a button every 108 minutes (Lost fan? Eh? Eh?) constituted a "fixed" hot water heater situation. Called the guy on Monday during my planning period and got ahold of him. He told me that it was his day off and he was out of town, but he would try to swing by my place that evening to check things out. Didn't see him that night. Called the next day and left a message. Never heard from him. Which brings us to yesterday, when I finally called the warranty people again and told them what was happening. They called the plumbing company, and come to find out -- this guy no longer works for them!! I have no idea if he quit, or was fired, or what, but he was obviously NEVER going to return my call. So now I have a NEW guy scheduled to come out on Monday and hopefully fix things once and for all. Cuz I'm getting a little tired of opening the heater and pushing that darn red button over and over and over. Welcome to the 226th edition of the Carnival of Education! This week’s edition comes at the very end of the school year, at least for those of us in Texas, and regardless of whether or not you are still in school, no one can deny the fact that summer is upon us! Therefore, I thought a fitting theme would be that of the SUMMER BLOCKBUSTER. Below, you will find a preview-junkie’s dream of coming attractions and upcoming marquees. Be sure to give each of them your full attention, and please don’t ruin the movie-going pleasure of those around you with noisy babies, cell phones, loud talking, or links to research paper-writing sites. From the people who brought you The Terminator, Back to the Future, and Season 5 of Lost – Phil for Humanity takes a look at Time Travel Theories. Good news ladies, none of the theories account for talking animals. The first time, it was for glory. The second time, it was for revenge. This time, it’s strictly for the Principal. Mazenko’s back, and this time it’s somewhat relatively personal. It calculates. It does thermal analysis. It even knows all about the day you were born. With a hyper-intelligent computer running things, what could possibly go wrong? Can Bogusia Gierus survive to find out?? The boy who became a man. The man who became a teacher. The teacher who stuck with a union. Tom White stars in this black and white indy. When a magical book is banned from the schools, how far will the teachers go to get it in front of their students? Join the heart-pounding, pulse-quickening adventure with the Shiloh Muse, only in theaters. Coming soon, a Travel Channel original documentary, A History of India takes you deep into the heart of the Asian continent and Indian culture. Narrated by Steve Gutenberg. This I Believe. These simple words will warm your heart this holiday season. Join Patrick Black, and you too will believe. He’s studying the same things, over … and over… and over… Glowing Face Man is having his own personal Groundhog Day, presenting a new idea for retaining language skills. It was a race they said he’d never win. It would take tools he didn’t have, they said. This 4th of July, Loony Hiker asks, Should he even try?? Old Andrew is back, and once again his Bad News Brits are trying his patience. Can he get them to understand the concept of Obedience? Protecting her blog from the scum of the internet. Siobhan Curious takes us into a recent experience with some not-so-friendly commenters with her take on how to handle them. An unspeakable horror. Millions wiped out in an instant. All because of a bird/swine/killer bee/raging raccoon. This Halloween, say F U to the Flu. In 2018, the Brains will rise up and take over. In 2005, the seeds for revolution were planted when two young men wrote a book and started a website. See how it all began in this epic prequel to SharpBrains 2: Die Sharper. From MTV Motion Pictures (in association with detentionslip.org) comes Save the Last Dance – at the Segregated Prom. This controversial film will leave you thinking. What do you get when you mix poetry and lollipops? You get In Good Company, the latest computer-generated animation phenomenon from Tracy, the people who brought you Through the Cubbyhole and The Teacher’s Top Drawer. In cyberspace, no one can hear you scream. But they CAN judge you by a bad, scary photograph. They say pictures are a window into our personality, and Victoria has some opinions on whose windows should be boarded over. Long ago, in a galaxy far, far away… A question was sent through the blogosphere. Now, witness the answer in this awesome instructional power of this fully functional, operating weblog! Starring Sarah Robbins, and introducing special guest star, Mister Teacher! Johnny Cash and the guitar. Truman Capote and writing. Frida Kahlo and art. They all practiced; they all perfected their skills. Now meet Matt Matic and discover the truth about how he perfected his mathematical ability. Brought to you by Tutorfi.com and the number 8. Mirror, Mirror, on the wall…What’s been happening on my hall? With the aid of a magical mirror (voiced by the always topical Pauley Shore), Larry Ferlazzo takes us back through a series of reflections on the past school year. Be sure to stay for a special scene at the end of the credits! School is like a box of chaw-klits, you never know how many nuts are to be found inside. Popular documentarian Nancy Flanagan takes a close look at where the trend of education is going and who will be running schools in the future in the groundbreaking film Grade Runner. What do you do when there are only 2 weeks of school left? SHOW ME THE ENGLISH!! Happychyck stars as a half-mad high school teacher whose antics prove just crazy enough for the kids to follow her to glory. Just when you thought it was safe to go back to volunteering… The dog poop hits the fan when Carol of Bellringers steps up for the 15th movie in the Crazy Carol series. An overwhelmingly high percentage of children showing eerie behavior. Teachers fearful of these strange children. Will Dutch educator Joep survive his tenure in The Village of the ODD? It’s 7 PM. Do you know where your Parents are? Mathew Needleman shows us just where he WANTS the parents to be, and HOW to get them there! Open House Night never felt so good! No one can be told exactly what the ARIS is – you have to see it for yourself. Woodlass invites us to take the red pill and journey down the rabbit hole into a system that must be escaped. There is no spoon! Trapped in a room for hours. No escape. Suddenly, that urge rears its ugly head. Will the Scholastic Scribe make it in time? Find out in Dancing in the Pain, courtesy of MGM. What if you could do it all over? A fresh start on life, using the lessons learned from hard experience? This Fall, Mister Teacher stars in the uplifting family film that received 15 standing ovations at the Cannes Film Fest – The Magnificent Five Ideas for Improvement. In 30 Days Later, zombies run amok in the countryside of Australia! Humanity’s only chance for survival is 5 lessons which can only be learned in the month of May. Can survivor Mrs. D take advantage and prevail? The nation’s educational system is rigged to implode, if the average grade falls below 55. Can Agent Dave Johnston bring together a unified system of standards and assessments? Whooaaaa! In Mr. Mayo’s Opus, Mary Ann Zehr follows a group of students as they see their visions put to film. Say hello to my little friends’ amateur movies!! Mission Impossible? Or Metrics Possible? Team Leader Dava Saba takes a team of green-behind-the-ears recruits through the paces and shows them that it’s not enough to have just one or the other. It’s NOT a tumor! Undercover detective John Holland takes on all opponents of his beloved grade as the Preschool Cop. When the bell rings, the fun begins! Summer school had always been gratis for Mrs. Bluebird’s Gawky Girl. But this June, she’s about to find out that there’s no such thing as a free ride. Will she value her experience more if she has to shell out the cold hard cash? One dream. Eighteen Indians. Twenty below zero. Joanne Jacobs, viewer of Cool Runnings, gives her own take on the Olympic dream. Or at least high school graduation. What do you get when you lock Barack Obama, Arne Duncan, Arnold Schwarzenegger, and Robert Pondiscio in a room and make them discuss Merit Pay? Why, 4 Angry Men, of course. Democrats and Republicans drinking coke together. Teacher unions and the Chamber of Commerce in agreement. Cats and dogs, living together. MASS HYSTERIA!! Who ya gonna call? Mark Stock wants to know! The Italian Stallion is back! The Dreamer Teacher faces his toughest opponent yet, the formidable “Slick.” By the end, you’ll know if Slick is more Apollo Creed or Ivan Drago. For your consideration: Dirty Joel has 45 tasks and asks So You Want to Teach? Well do ya, punk? That does it for our Summer Blockbuster Sneak Preview Extravaganza! Thanks for keeping your eyes glued to the screen! Please be sure to get your butts in those seats for each and every one of these high-budget flicks! And tell your friends – links are always appreciated! It's time to announce the winners of the uprinting.com business card and brochure giveaway!! Thank you to everyone who entered and left a comment. There were lots of great comments, and it was extremely difficult to pick a winner from the group. I'm sorry that I can't give EVERYONE the prize. However, someone had to be crowned cham-peen, and so here we go. First, the winner of the 500 brochures is Lib. That was kind of a no-brainer. Her comment was so detailed, so valid, and so excellent, that I just had to pick her. Secondly, the winner of the 500 business cards was much harder to decide. We finally settled on Wendy Mueller and her "caught being good" cards. Congratulations to both of you! Please send me an email (learnmegood2@yahoo.com) with YOUR email address, and I will send you details on how to claim your prize! Don't forget, tomorrow is the deadline for submitting an entry to this week's Carnival of Education! Bring your popcorn! Today marks the beginning of the last week of school with this year's kiddos. We only go through Wednesday with the kids, then we have our teacher close-out (re: socialize and procrastinate) day on Thursday. Since it is the end of the year, I thought it would be a good time to reflect on the past 9 months. It was indeed a crazy year, what with the layoffs, switching positions, getting a new set of kids 10 weeks into the year, etc. Nevertheless, the move turned out to be a blessing in disguise, as I found that I really like teaching the bilingual kids, and they in turn showed their willingness to adjust and learn from me. I did make it a goal this year to try to play more math games. And we DID play more, relative to last year. But I want to play even more next year, time permitting. And that's really the problem -- the time. There is SO much material to pack in before the big test, and SO much time wasted by little things like misbehavior and not listening (not to mention slow, meticulous kids), that we often don't have much time for games. However, when we DID have time for them, all of the kids were on task, and they seemed to improve their skills. This was my first year (7 months, actually) of teaching language arts. So it took me a while to get my feet under me and find out what I was doing. OK, who am I kidding, I'm STILL trying to find out what I should be doing! But one of the things I would do about once a week or once every 2 weeks was the Morning Message. This was a short passage -- 2 or 3 sentences -- filled with grammatical and punctuational mistakes. The kids had to copy it down exactly as it appeared on the board and then make the necessary corrections. It was a fun exercise, it helped the kids recognize mistakes, and it showed them part of the editing process. Next year, maybe I'll up it to 2 or 3 times a week. Every morning, we started our day with a word problem. Every day, we went over the steps to working the problem, but I very rarely took it for a grade, as it is mostly for practice. Quite often, I would notice that kids weren't making the corrections at their desks, instead leaving incorrect operations and wrong answers on their paper. I need to find some better way to garner their attention to detail and checking their work. Perhaps this means having them switch with their partner to grade, but I prefer that they see their OWN work when we're grading the PoD. Last week, we started a projet that involved estimating the cost of an airplane ticket to a chosen location. Some kids thought a trip to New York City cost $2, some thought $1,000,000. The really sad thing was that when these kids asked their parents, many of THEM gave grossly incorrect estimates, like $40. Next year, we'll have to talk more about how much groceries really cost, how much gasoline really costs, how much an airplane ticket really costs. With about a month to go before the TAKS test (so that puts it at around end of March), I had what I considered to be a brilliant idea. Why not make a study guide containing a sample of everything we've learned so far this year?? It was one of those things that just made me feel stupid for not having thought of it years ago. And I really do think it was effective. The kids enjoyed making it, and having free time to study with it. However, I think it would be much MORE effective, and induce much more retention, if we started it from the beginning of the year and updated it as we learned each concept. That way, it would truly be something that they could continually reference and be quizzed over.